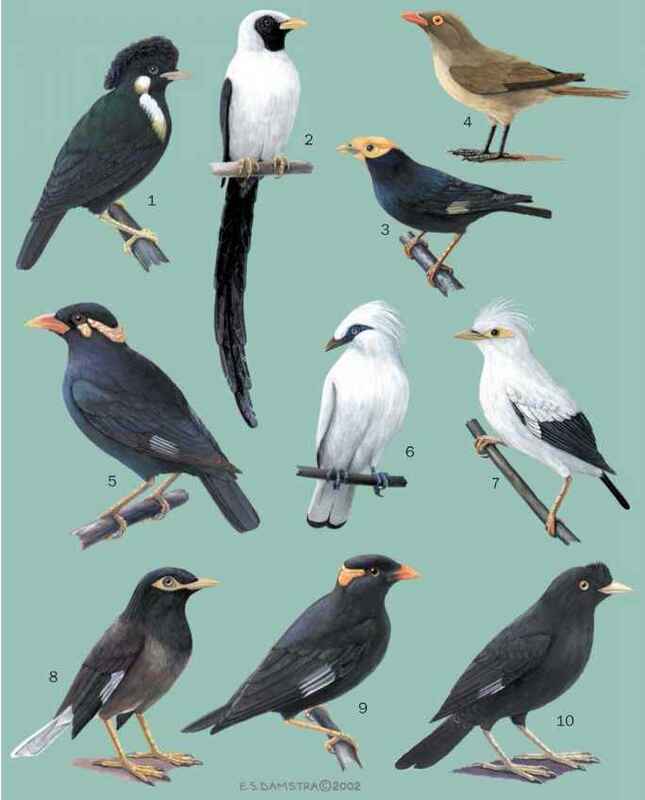 English: Malaysian rail-babbler; French: Eupete a longue queue; German: Rallenlaufer; Spanish: Hablantín Malayo. 11.4 in (29 cm). Brownish plumage with black legs and bill, white brow stripe and black eye stripe, sometimes with bluish stripe underneath. 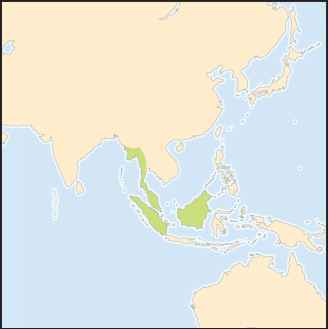 E. m. macrocerus: Peninsular Thailand and Malaysia, Sumatra; E. m. borneensis: Borneo. Lives up to 3,300 ft (1,000 m). Broad-leaved evergreen forest in lowland and hills. Very shy. Drawn-out monotone whistle heard much more than bird is seen. Walks on forest floor, jerking head like chicken; runs with great speed, holding the head up and the tail depressed. Eats insects and other small ground invertebrates. Breeds January-July, laying two eggs. Scarce to locally fairly common resident. Considered Near Threatened by the IUCN and Birdlife International owing to extensive logging in parts of its range.